3 people voted 5.0 stars. 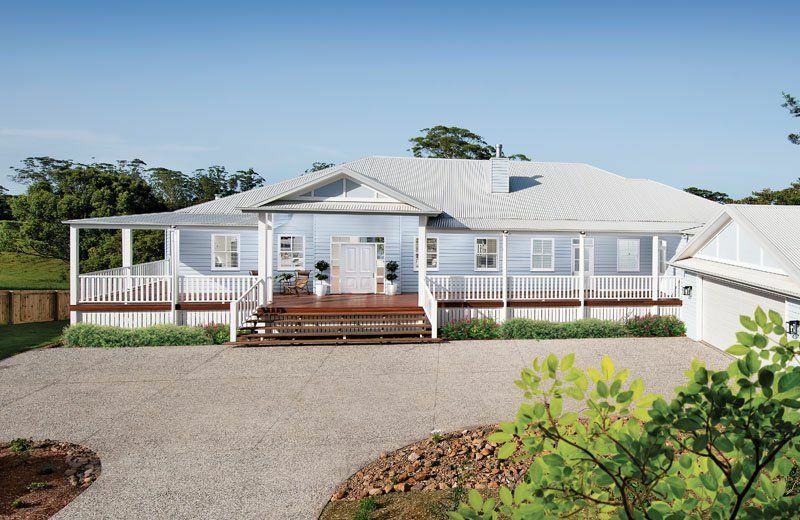 Every year, the Endeavour Foundation builds a Queenslander-style home to commemorate its founding in 1951 – and then gives it away to the winner of their anniversary draw. 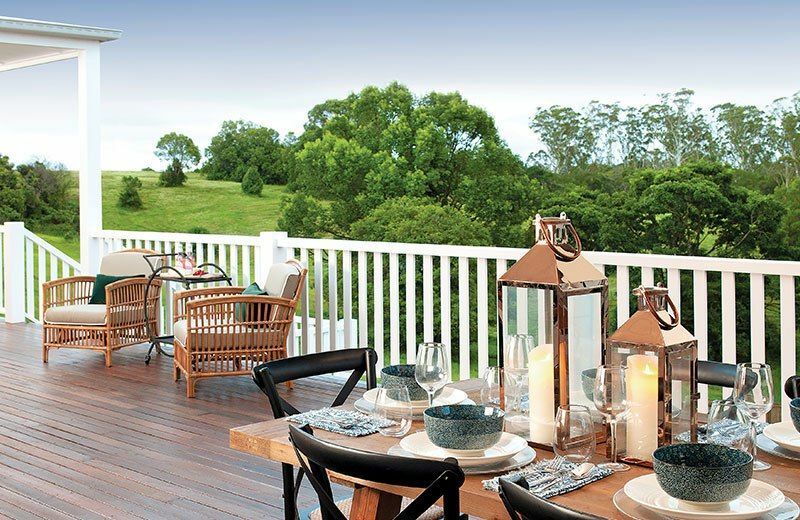 This year, the home is in Montville in the hinterland of the Sunshine Coast. It’s got four bedrooms, a unique outdoor theatre, and comes fully furnished so that all you’ll have to do is pack your bags to settle in. Imagine waking up each morning to the sound of the birds and planning your next adventure-packed day over a cup of coffee on the alfresco. 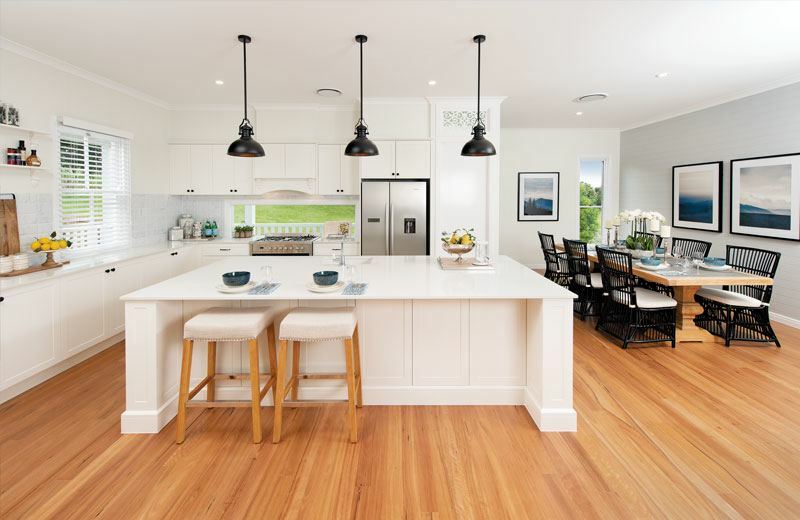 Head for the beach, do a little shopping in Noosa, or explore your own backyard at Kondalilla National Park.The home has been artfully crafted to make the most of its tranquil setting and boasts a 100,000+ interior design package. 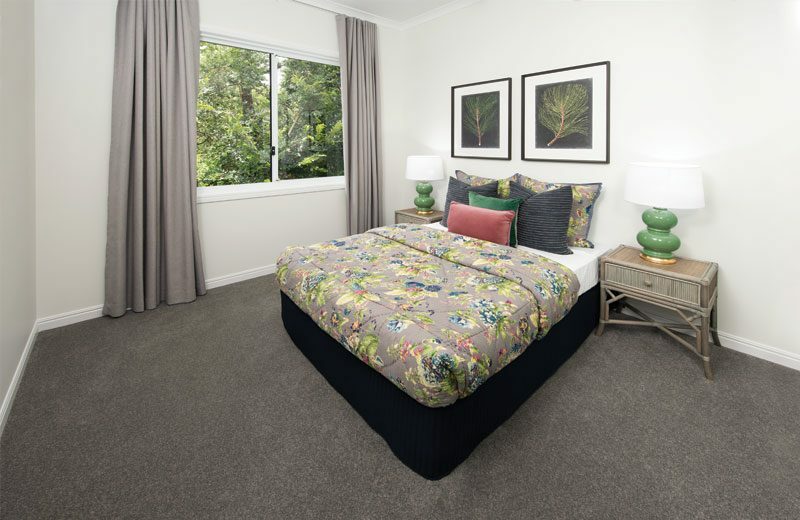 You’ll be able to enjoy all the busy attractions of the Sunshine Coast and know that there’s a magnificent retreat waiting for you at the end of the day on the fringe of the rainforest. 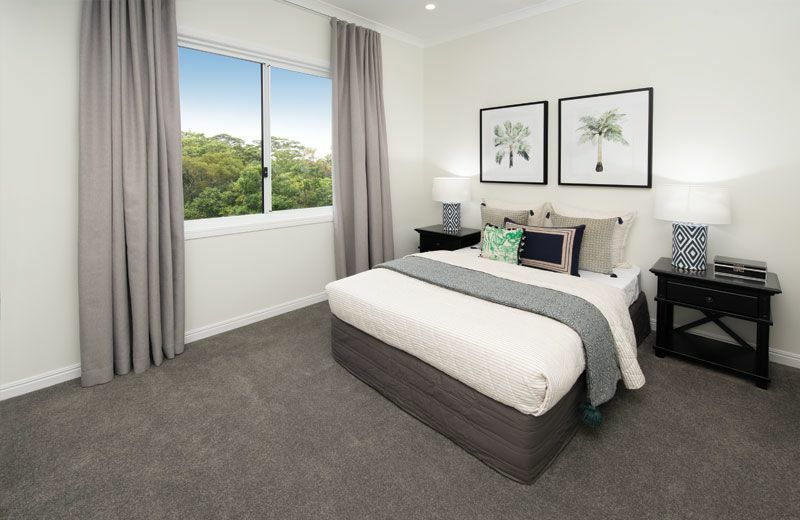 The Endeavour Lottery anniversary draw is always one of the most popular draws of the year so be sure to get your tickets in # 421 to secure your chance of winning this impeccable hinterland home. The village of Montville is located on the Blackall Range in the hinterland of the Sunshine Coast. Because the area is about 400 metres above sea level, you’ll enjoy spectacular views from the town lookout. Even though it only has about 1,000 residents, Montville welcomes visitors with an information center, several nice cafes, gourmet restaurants and a microbrewery. People come here to get away from the city, tour the wineries, and unwind in the natural beauty of the area’s parks and reserves. 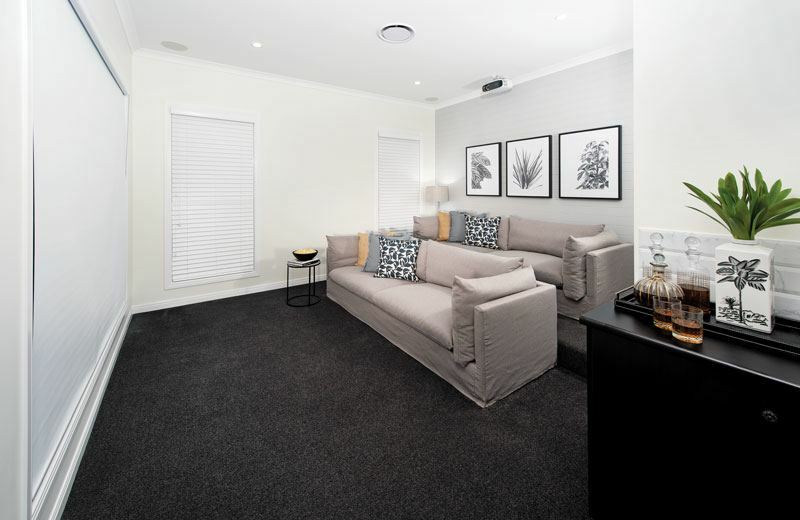 The prize home is just minutes from Main Street with its heritage listed building, specialty shops and galleries. Montville is also becoming a popular place for weddings, so don’t be surprised if you see the occasional bride and groom stopping in for a pint at the pub. Within minutes of town you’ll find places to hike, boat, fish and swim. Try taking to the water at the Barron Pocket Dam or take a dip at Kondalilla Falls. The national park is known for its swimming holes and dozens of species of birds that can be seen (and heard) from the well-maintained walking tracks. When you get the urge for sand and surf, the beaches are just half-an-hour away. 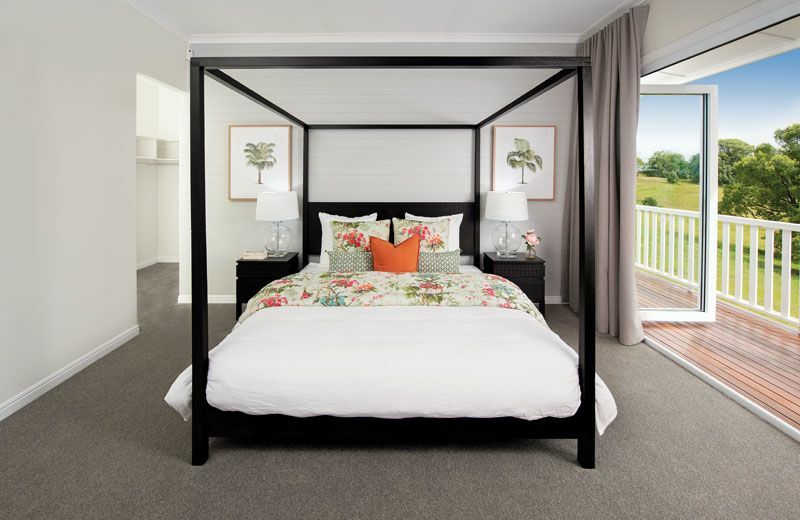 Go directly across to Mooloolaba, wander south to Bribie Island or head north to Noosa. In every direction you’ll find a full range of water sports, golf courses, amusement parks and family-friendly attractions. 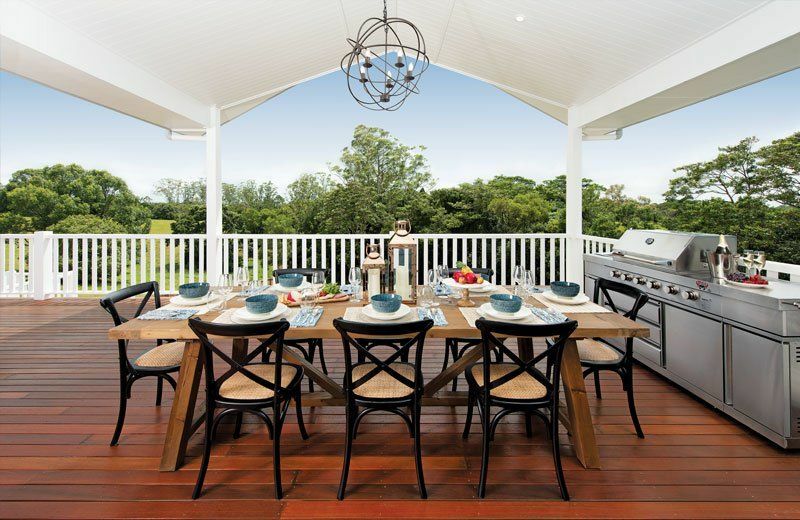 The prize home in draw 421 is a picture-perfect Queenslander with a wrap-around veranda, muted blue façade and timbered decking. 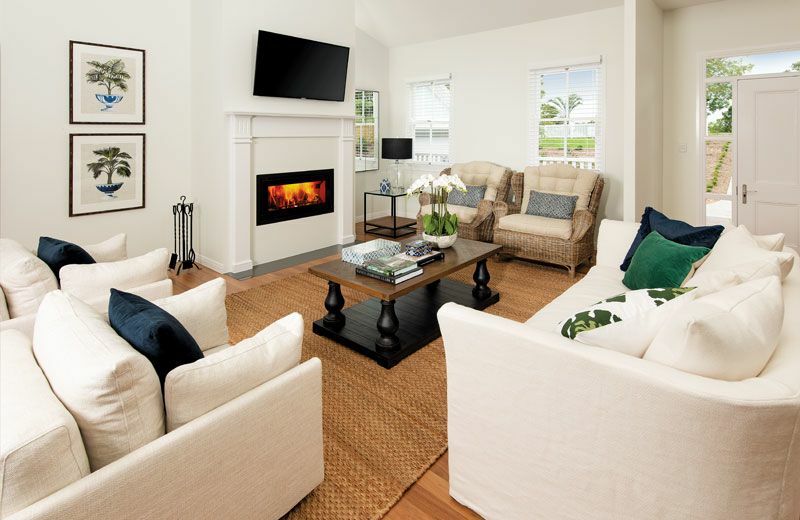 The main entry opens onto a very spacious living area that features another expanse of unblemished hardwood flooring. 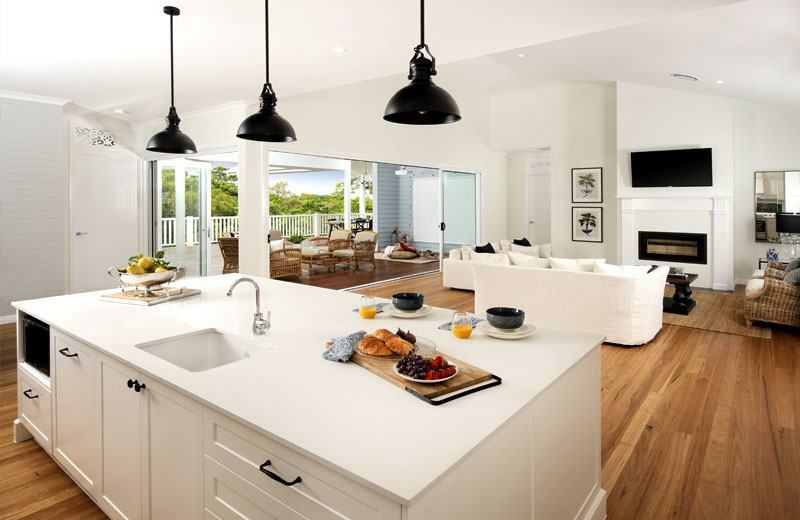 The integrated kitchen, lounge and dining room are all filled with an abundance of natural light, enhanced by a gleaming white décor and colourful accent pieces. The well laid-out kitchen has a walk-in pantry, a huge central island and masses of cupboard space. Alongside, the interior dining area can comfortably seat eight guests. The living room has a fireplace with a flat-screen television mounted above it and both can be enjoyed if you’re working in the kitchen. 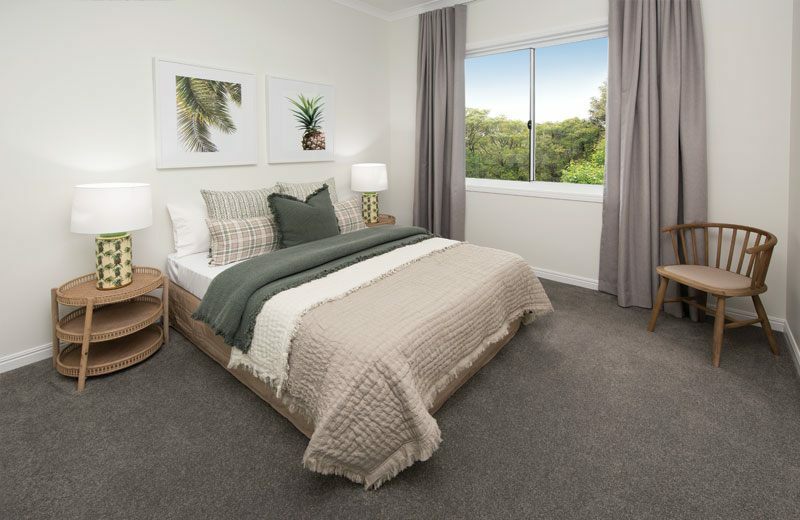 If you need a bit of privacy or want to catch up on your social media, there’s an enclosed study with casual furnishings and access to the veranda. If you like watching movies, you couldn’t find a better set-up. 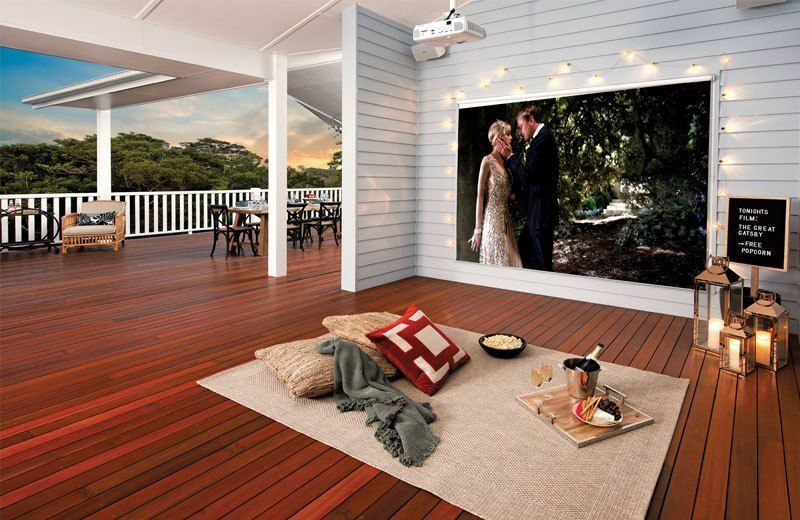 A wall-sized double-sided screen lets you enjoy a film in the media room or outside on the alfresco. Watch under the stars or take the party inside when the weather’s not cooperating. 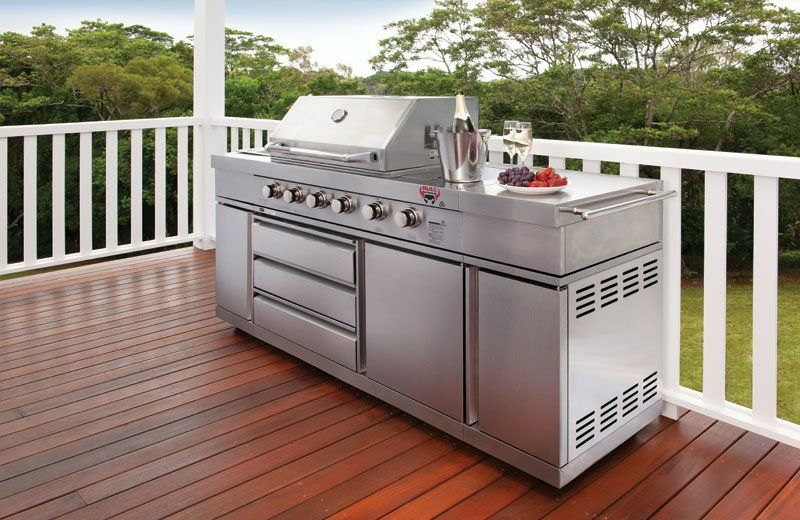 The alfresco also has two separate seating areas, a professional-grade gas BBQ and a full dining table. 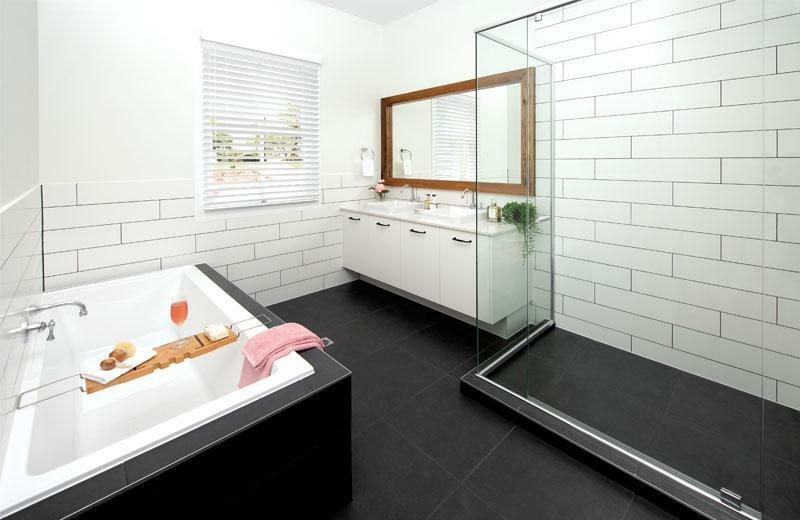 The master bedroom has a walk-through robe leading to a gracious ensuite with both a shower and soaking tub. It’s situated at the back of the residence near the alfresco, giving the room privacy from the other three bedrooms that are located beyond the media room. These share a central bathroom and there’s a separate laundry room near the entrance to the two-car garage. The garage can be accessed from the interior of the home so there’s no need to get wet if it’s raining! 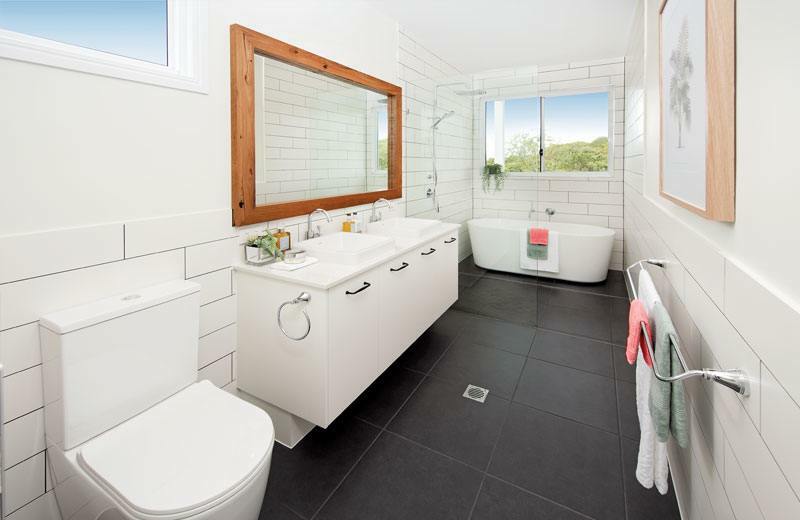 Enjoy the absolute best of the Sunshine Coast hinterland from this gorgeous home in the hills. The new construction is absolutely flawless and waiting to welcome its first owners. Should you choose to rent out the home in Montville, you could give yourself a healthy second income to travel, pay down your existing mortgage, or work on some of the more expensive items on your wish list. Renting it out fully-furnished will bring in approximately $62,400 a year and if you decide to keep the furnishings, you’ll still make about $52,000. In order to be automatically entered into the Early Bird Draw, you need to purchase your tickets on or before the 1st of May 2019. That’s a chance to win $5,000 in cash just for being organised! If you’re a resident of Victoria or New South Wales, you’ll receive the equivalent amount in cashable gold bullion. The Endeavour Foundation Lottery Draw #421 will close at 7:00 pm AEST on Wednesday 29 May 2019. You must purchase your tickets no later than 1 May 2019 to be entered in the Early Bird Draw. The draw will be held at 11:00 am AEST on Wednesday 5 June 2019. The draw takes place at the Endeavour Foundation, 33 Corporate Ave., Cannon Hill, Queensland. As always, members of the public are welcome to attend the draw. Why not drop by and see if you’re holding the lucky ticket to a $1.3 million grand prize home! Winners will receive notification from the Endeavour Foundation by registered mail. A list of winners will be published in The Courier Mail on 8 June 2019. We will also post the list of winners to this site following the draw. The Endeavour Foundation is always particularly proud of their anniversary Queenslanders and you can see why by taking a tour of the property. It will be open for public inspection from 10am to 5pm, 7 days a week until the close of the draw on May 29th, 2019. The only exceptions are Good Friday (19 April) when the home will be closed and Anzac Day (April 25) when the home will only be open from 1pm to 5pm. 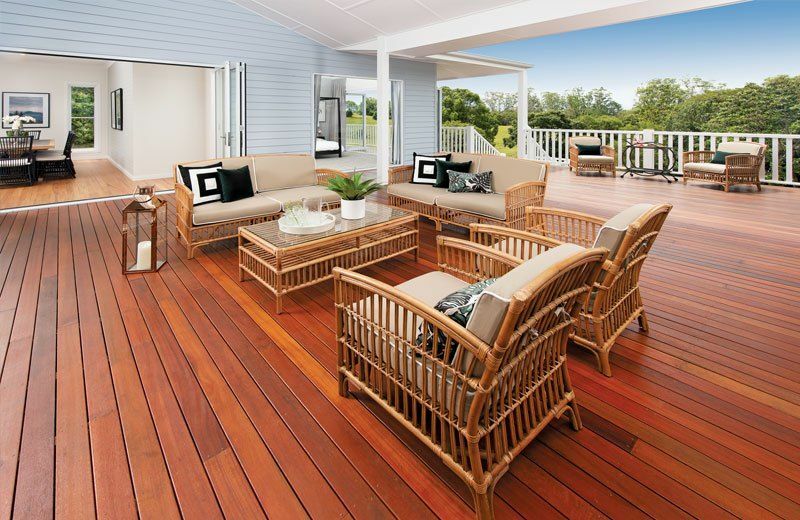 If you’re heading for the Sunshine Coast, you’ll find the prize home at 205-209 Western Ave, Montville QLD 4560. Make a day of it and visit the village shops, take a walk in the rainforest, and think about what it would be like to live here year-round! Ticket books are great value because you get more chances for your dollar. By making a $30 purchase, you’ll be getting 4 tickets which is like receiving one for free when compared to buying each one separately. Spend $50 and it’s like getting each one for half-price! Thank you for supporting the Endeavour Foundation and the work that they do to help Australians with a disability live more independent lives as full participants in our communities. 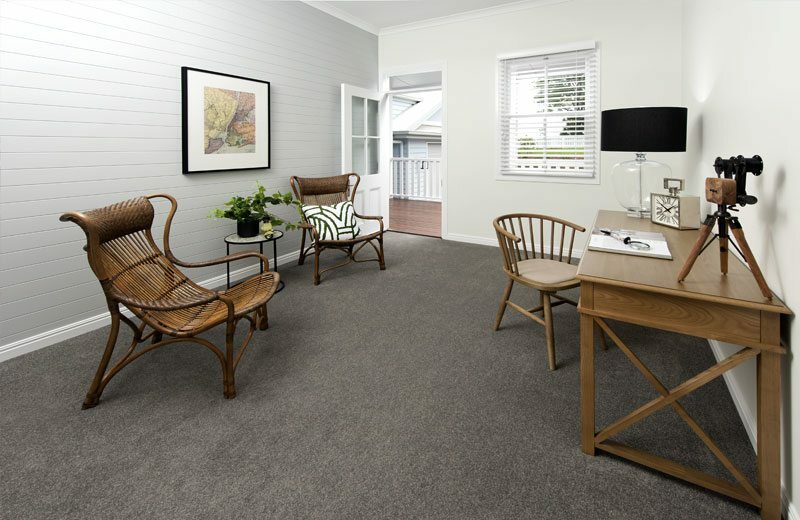 We wish you the best of luck in draw 421 and hope you’ll soon be enjoying a hinterland home on the Sunshine Coast.